Applications for the Vista Modular Panel System from Invincible Furniture. Open plan environments mean FREEDOM—freedom for you to design your space with specific needs in mind. Invincible gives you traditional or “benching-style” leg options, a multitude of filing and storage options (including cushion top pedestals) and a variety of power options. Add color and texture to fabric covered privacy screens or choose different glass types for clearer communication. Vista may be ordered with a wide variety of laminate and paint options. Your private office is yours. Design it the way you want it! Choose from a wide variety of desk styles and then add storage, filing and power solutions to suit your needs. 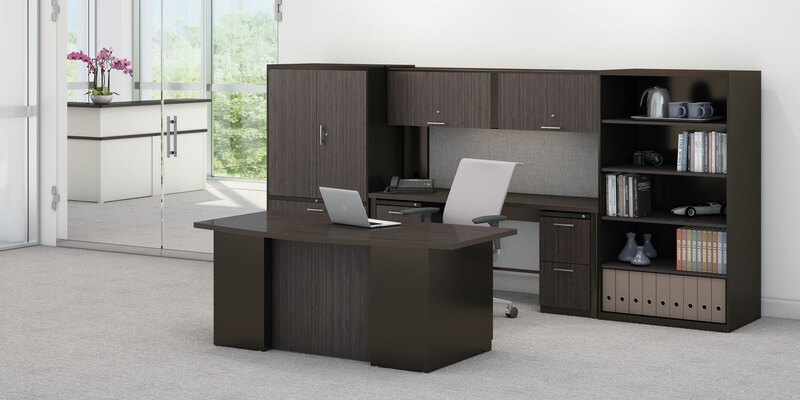 The office above incorporates a Cube Executive desk with Vista Stacks, and is shown with optional laminated modesty, door and drawer fronts. The strength and durability of steel with the beauty of wood grain or patterned laminate presents a polished, upscale aesthetic. Invincible also offers a wide variety of tables (including Sit-Stand height adjustable tables) to complete your private office. The “Buzz” in the office today centers around a collaborative working environment and the teaming concept. 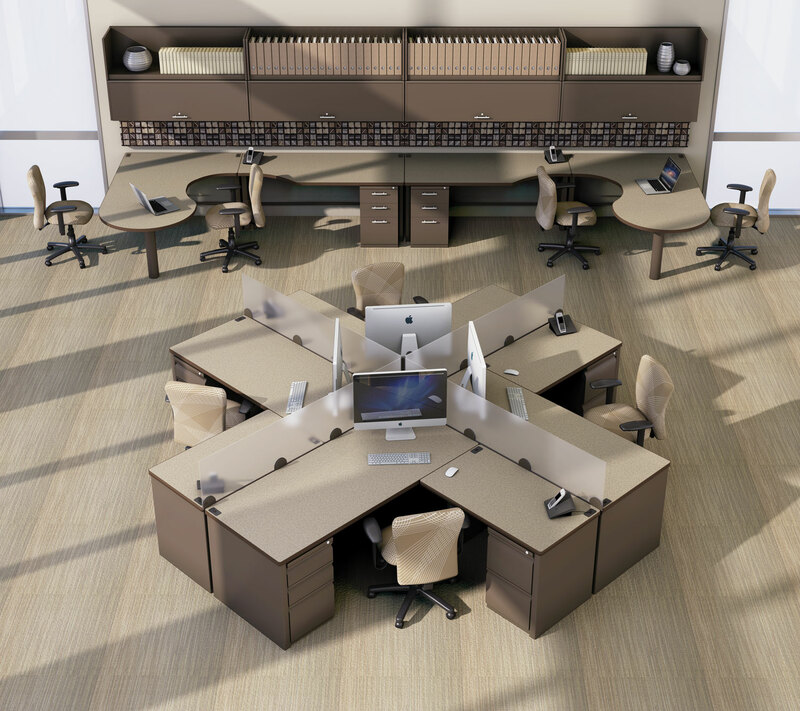 Designed with the ideal “footprint” for your unique work area, Vista allows you to maximize the number of users in the most compact space possible and also gives you privacy options so that the work flow is uninterrupted by noise and distractions. Whatever your power needs are, Invincible can deliver on that as well! Ideal for smaller rooms or areas where you can only build up and not out; Vista Stacks gives you the maximum amount of storage possible in the smallest footprint. Place your commonly used items in the lower overheads and those items you don’t use as much in the upper ones. Built Invincible tough, the overheads are through-bolted into the legs so that the entire unit stays rigid. You can add optional laminate or fabric on the flipper doors and power corner units to meet or exceed your needs.